A newly published study from Yale University reveals that a hypertension medication that targets stress may help smokers quit. The study was published online December 17 in the Journal of Psychopharmacology. 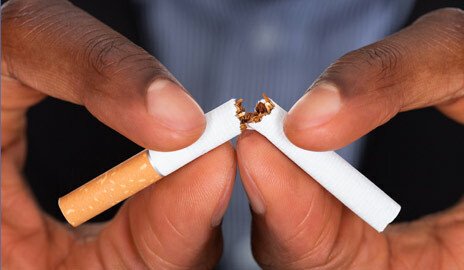 “The fact that this drug can target different stress-related effects made us believe this would be a good medication to study for smoking cessation, given the strong relationship between stress and smoking,” said the study’s lead investigator, Sherry A. McKee, professor of psychiatry and director of the Yale Translational Center to Develop Gender-Sensitive Treatment for Tobacco Dependence. “We know that individuals with addiction demonstrate decrements in prefrontal functioning, and medications that strengthen these cognitive functions can reduce impulsive responding — like relapsing back to smoking” says Marc N. Potenza, professor of psychiatry, neurobiology, and the Yale Child Study Center, and lead neuroimaging investigator. “We are now studying whether the medication might be particularly effective for women smokers given that women are more likely to smoke to manage negative mood and stress than men, who are more likely to smoke to satisfy their nicotine craving,” McKee said. The study was supported by the National Institutes of Health and the Connecticut Department of Mental Health and Addiction Services. Be the first to comment on "Study Shows Hypertension Medication May Help Smokers Quit"